The following a list of definitions for phrases and terms used when discussing luminance contrast. The references for each definition are also provided. AS/NZS 1428.4.1 (2009) Clause 1.4.3A Composite discrete TGSIs Composite discrete tactile ground surface indicators, tactile ground surface indicators that are individually installed and which provide a differing luminance for the sloping sides and the upper surface of the truncated cone. AS/NZS 1428.4.1 (2009) Clause 1.4.6 Directional indicator An indicator used to indicate direction of travel through a space or to an object or service. AS/NZS 1428.4.1 (2009) Clause 1.4.8 Discrete TGSIs Discrete Tactile Ground Surface Indicators, tactile ground surface indicators that are individually installed, which provide the same luminance for the sloping sides and upper surface of the truncated cone. Clause A1.1 Luminance contrast The light reflected from one surface or component, compared to the light reflected from another surface or component. Clause 4.22 TGSIs Tactile ground surface indicators, truncated cones and/or bars installed on the ground or floor surface designed to provide pedestrians who are blind or vision-impaired with warning or directional orientation information. AS/NZS 1428.4.1 (2009) Clause 1.4.27 Tactile indicators Indicators designed to provide blind or vision-impaired pedestrians with orientation information by means of tactile perception. AS/NZS 1428.4.1 (2009) Clause 1.4.29 Vision impairment Any significant loss of sight. AS/NZS 1428.4.1 (2009) Clause 1.4.31 Warning indicator An indicator that is used as a warning of a hazard and the need to stop, consider, investigate and wait before proceeding. 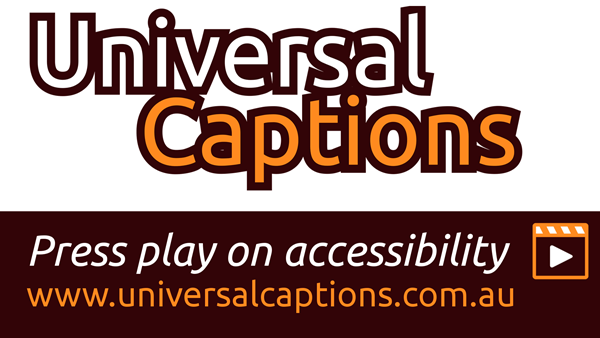 Clause A1.1 Accessible Having features to enable use by people with a disability. AS 1428.1 (2009) Clause 4.4 Braille A system of touch reading for the blind, which employs raised dots that are evenly arranged in quadrangular letter spaces or cells. AS 1428.1 (2009) Clause 4.6 Continuous accessible path of travel An uninterrupted path of travel to, into or within a building providing access to all accessible facilities. AS 1428.1 (2009) Clause 4.8 Hazard Any area or fixed object in or immediately adjacent to a direction of travel, which may place people at risk of injury. AS 1428.1 (2009) Clause 4.12 Luminance factor The ratio of luminance of a surface to that of a perfect reflector, identically illuminated. AS 1428.1 (2009) Clause 4.23 Tactile signs Signage incorporating raised text, and/or symbols and Braille to enable touch reading by people who are blind or who are vision-impaired. Building Code of Australia, Volume 1 (BCA) Clause A1.1 Deemed-to-Satisfy Provisions Deemed-to-Satisfy Provisions means provisions which are deemed to satisfy the Performance Requirements. Building Code of Australia, Volume 1 (BCA) Clause A1.1 Deemed-to-Satisfy Solution Deemed-to-Satisfy Solution means a method of satisfying the Deemed-to-Satisfy Provisions. Building Code of Australia, Volume 1 (BCA) Clause A1.1 Performance Requirements Performance Requirement means a requirement which states the level of performance which a Performance Solution or Deemed-to-Satisfy Solution must meet. Building Code of Australia, Volume 1 (BCA) Clause A1.1 Performance Solution (Alternative Solution) Performance Solution (Alternative Solution) means a method of complying with the Performance Requirements other than by a Deemed-to-Satisfy Solution. BS 8300-2009 (UK) Appendix B, Clause B1 LRV The main feature of a surface, which appears to be strongly correlated with the ability of blind and partially sighted people to identify differences in colour, is the amount of light the surface reflects, or its light reflectance value (LRV), or the luminance reflective value (LRV).